I thoroughly enjoyed the Christmas Arrangment 2 course. 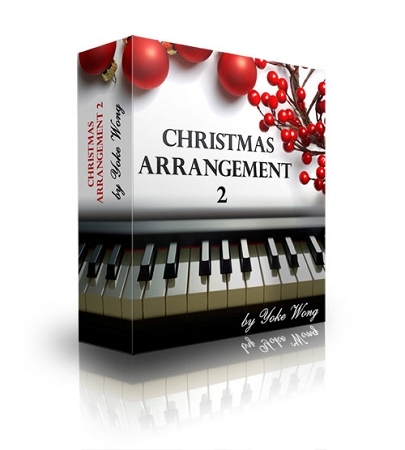 It covers nine favorite Christmas songs, offering both lead sheet and full scores. More importantly, rather than simply follow sheet music, the courses teaches us how to improvise and create our own arrangments. This is not only a tutorial course on Christmas songs but also a course/refresher on harmonizing, putting chords together with melody, learning several left-hand styles and ultimately making our own music. I have really enjoyed this course. I finally have fun at the piano! My only suggestion is to make the course easier to download on the ipad. I didn't realize I would have to download each file to a computer first, then transfer to the ipad. Not having a computer, I can only use the course with an Internet connection. I would rather have it available on DVD. Still I would suggest this course to anyone. It is well made, with examples for the beginner as well as the more advanced pianist. Hi Yoke, You given me a lot of knowledges, without you, today, I am still seaching high and low. I hoped to see your next level of teaching! Irene from Singapore.